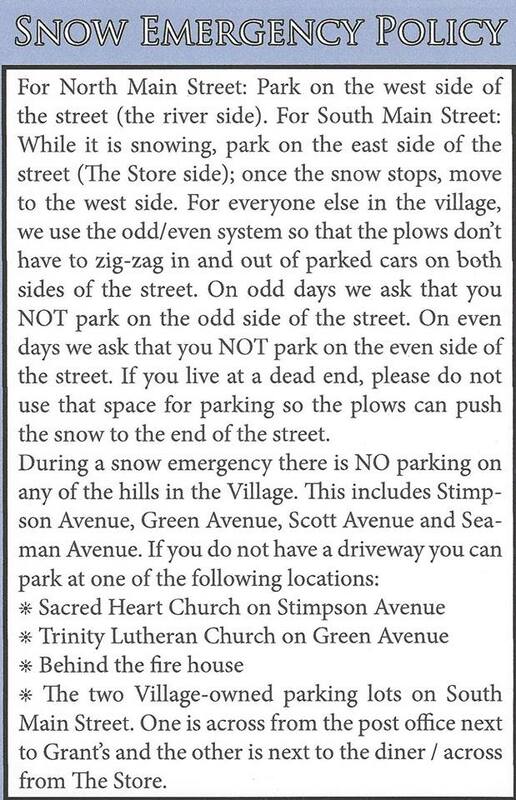 Due to the recent nor'easters, a number of limbs have come down throughout the Village. 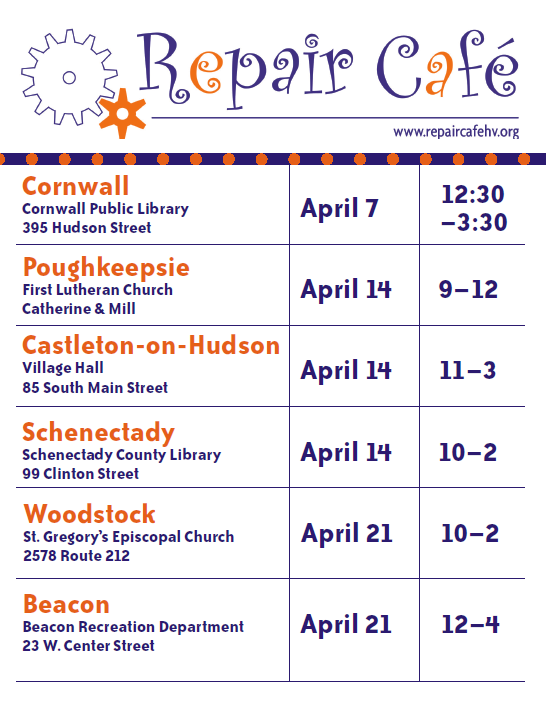 If residents put them near the curb, DPW will come around during the week of April 9, pick them up and chip them. 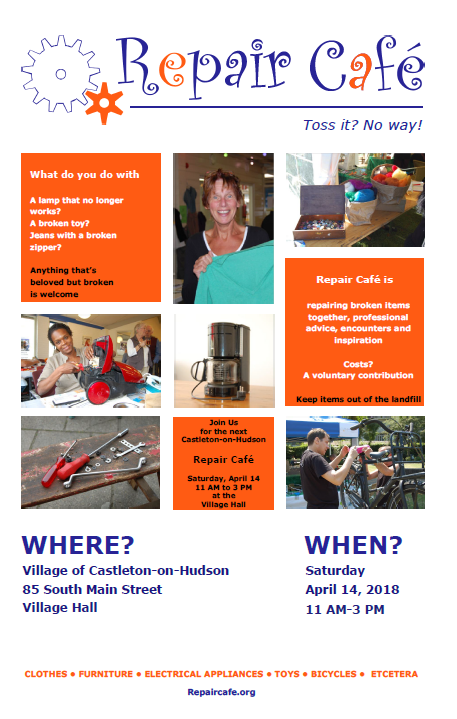 Another Repair Cafe has been founded in the Capital District. 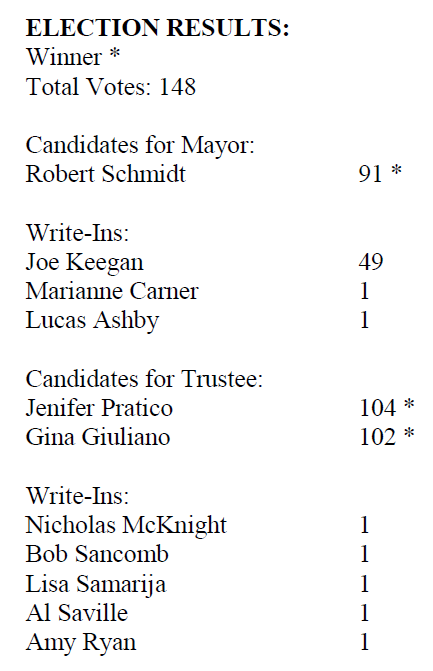 Welcome, Schenectady! On March 15, Mayor Bob Schmidt attended an exciting meeting of the Rensselaer Land Trust concerning the Rensselaer County Hudson River Access Plan, which is a study funded by the NYS Department of Environmental Conservation's Hudson River Estuary Program. The report details forty-four Hudson River access points in Rensselaer County. 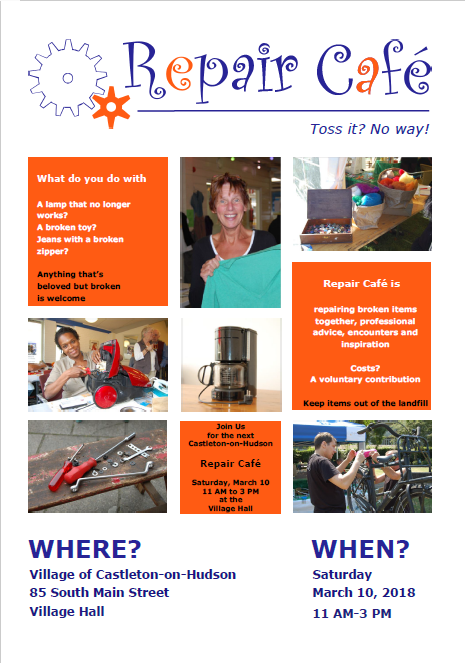 There is good news to share! 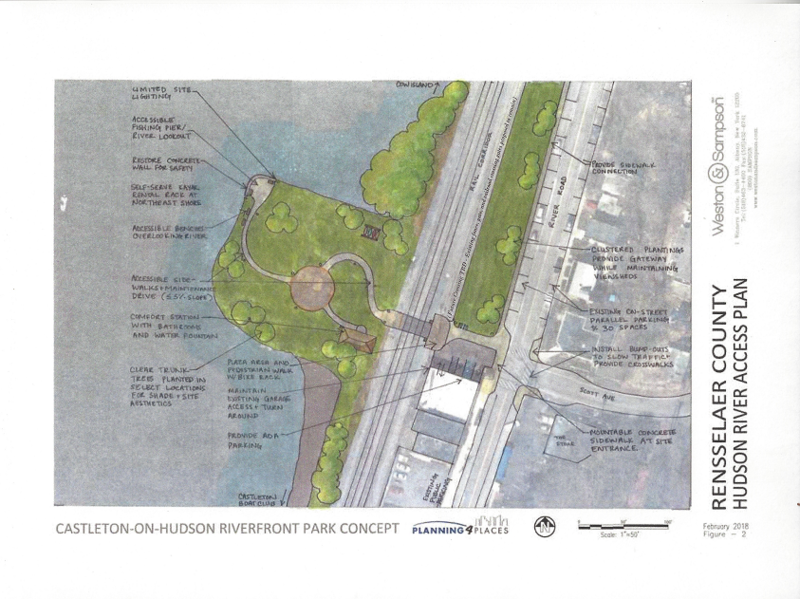 The Village of Castleton-on-Hudson's Riverfront Park has been chosen as a high priority site, and is one of three of the seventeen high priority locations selected for an architectural sketch. 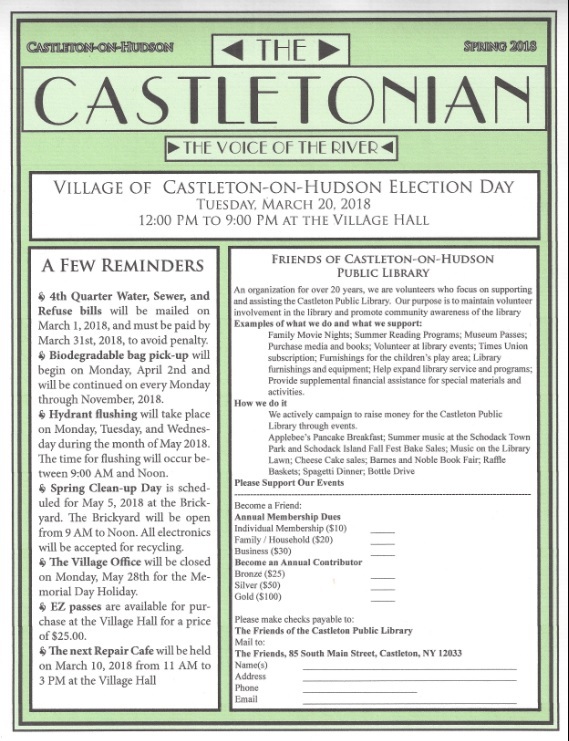 This outcome is the result of more than a year of meetings and advocacy by Village leadership, and will greatly help in the Village's fight for public access to the Hudson River. The full report will be available in late March or early April. 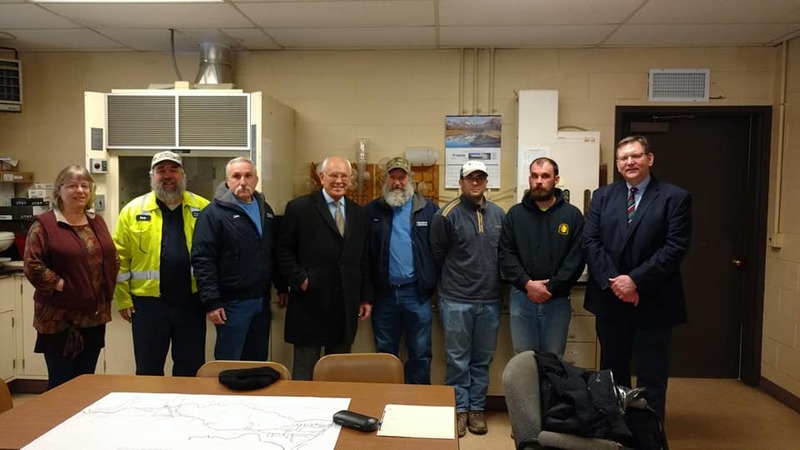 On Thursday, February 22, 2018, Congressman Paul Tonko visited the Village of Castleton-on-Hudson to talk about our aging water pipes and tour the facilities.